The interior stained glass of St Mary's Anglican Church, Grand Turk. The beachfront St. Mary's Church on Front Street. Historically, and as may be expected as the island is the home of the country’s capital of Cockburn Town, Grand Turk has been home to some of the finest churches in the Turks and Caicos. Several denomination are represented, including Anglican, Methodist, Baptist, and Catholic. Many of the island’s churches were built during golden age of sea salt production in the early to mid-1800s. As was common with important buildings in the country at the time, cut and mortared stone blocks with a protective stucco was utilised for most churches. Although not large, the older churches on Grand Turk were built with cost, care, and attention, often with expensive imported materials. An example is the St. Thomas Anglican Church on the salinas at Cockburn Town, which was constructed with limestone imported from Bermuda. As development increased in the country, the facilities in the islands allowed for local limestone to be cut, which was of a quality at least equal to that of Bermuda. In fact, export of Turks and Caicos limestone blocks to Belize for church construction was once considered. Although the Turks and Caicos was governed as a separate territory from the Bahamas and Jamaica at the time, until 1861, the three countries fell under the Anglican diocese of Jamaica. After 1861 and still to this day, the Bahamas and Turks and Caicos remained under a single diocese. As a British territory, the Anglican Church was sponsored and partially supported by the Government from about the period of the initial arrival of the Loyalists in the late 1700s, until the 1866 disestablishment of the Church of England in Jamaica. The beautiful British-Bermudian architecture of St. Thomas's Church, Grand Turk. When the Turks and Caicos separated from the Bahamas in 1847, the islands were split into parishes, as was a common system at many of the British Colonies in the West Indies and Caribbean. Grand Turk was the Parish of St. Thomas, the Caicos Islands were the Parish of St George, and Salt Cay was the Parrish of St. John. 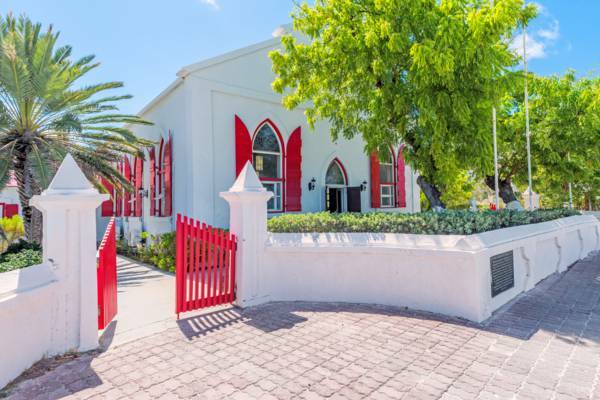 As may be expected, churches have played an important part of society in the Turks and Caicos. 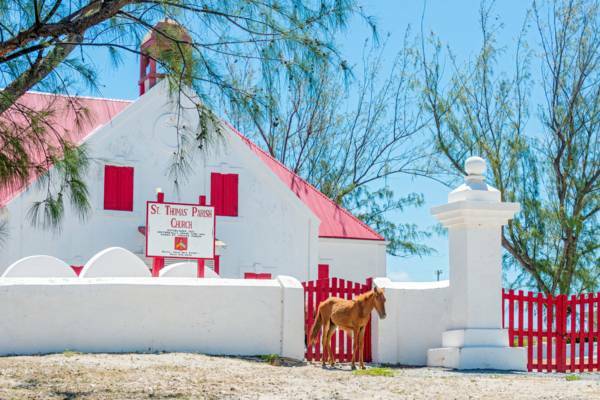 Previous to the 1850s, the budding country did not have much civic infrastructure, and the limited schooling that took place in the islands fell under the function of churches on Grand Turk and Salt Cay. In 1849, then president Frederick Henry Alexander Forth (an energetic man who oversaw the construction of the Grand Turk Lighthouse and also attempted to dredge the inlet to North Creek, during his tenure) recognized the need for dedicated schools, as the education provided at the churches “was conducted as indifferently as it was attended”. President Forth subsequently established the first Board of Education in 1854. 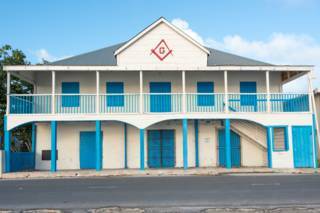 The Free Mason's Lodge was opened in 1855 by the first president of the Turks and Caicos Islands, Mr. Fredrick Forth. Mr. Forth was a member and the Lodge was originally called the 'Turks Islands Forth Lodge'.